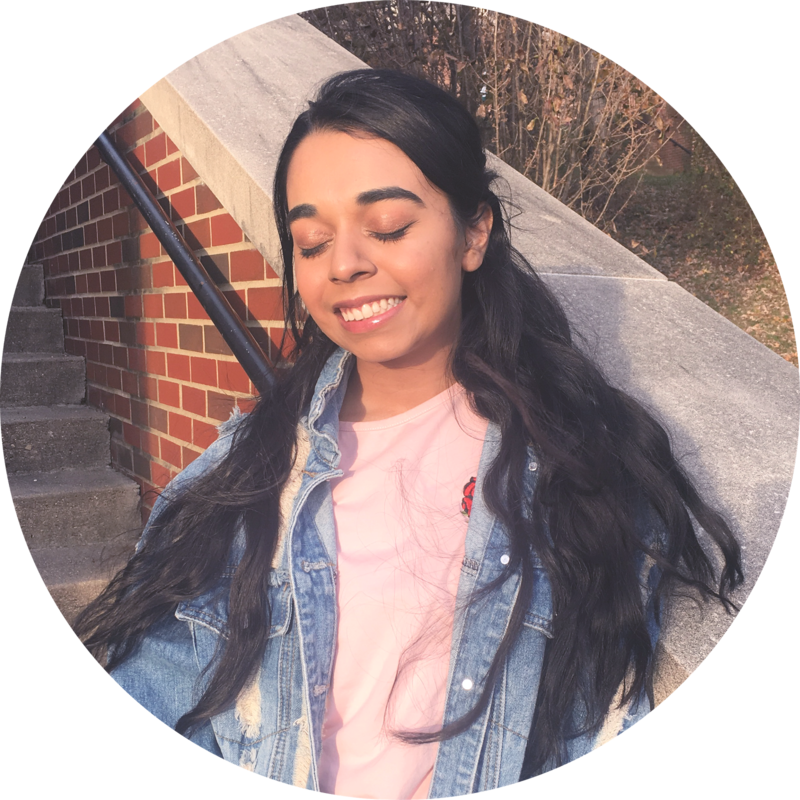 First, I did a quick primer of concealer and powder, which I would not do anymore because the lasting power is quite strained with that combination. The concealer was the Glossier Stretch Concealer in Dark. Second, I applied MAC Saddle as a crease color. 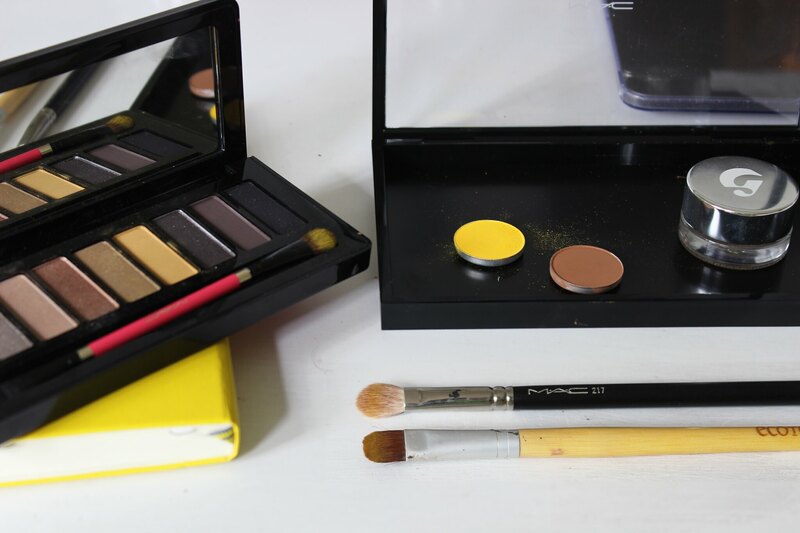 I then jumped into the yellow, my sister has dry eyelids, so using MAC Chrome Yellow did emphasize her dry patches and it is a bit hard to work with. However, I was able to make it work. 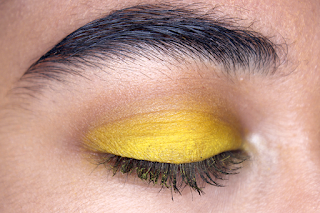 I felt that the transition was too bold, so I went into my MAC Nutcracker Sweet Warm Eye Compact and used Lady Finger, which is a more muted yellow, to blend the two colors together. I finished with a mixture of the Elf Lengthening Mascara and Urban Decay Perversion Mascara. Then I patted some more Chrome Yellow on top to intensify the color and spritz with the Elf Makeup Mist and Set.